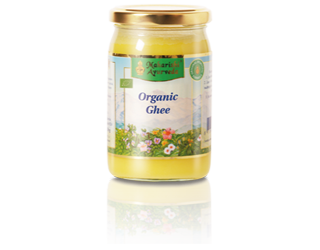 In line with our current blog entry “Healthy Feet – Healthy Body” we are offering Bio-Ghee and Vata Massage Oil as controlled natural cosmetic (CNC) at a reduced price until 16 May 2018. Foot massages using the Kaash bowl and ghee are traditionally common in many parts of India. A foot massage using the Kaash bowl is especially beneficial in the evening before going to sleep. Experience the wonderfully relaxing effect on body and soul. 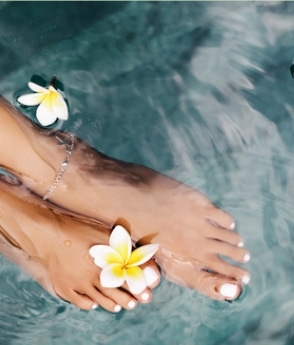 An evening massage of the soles of the feet using our Vata massage oil also promises special pleasure and relaxation. Ensure pleasant smelling and shiny hair with the right shampoo for your hair type: Choose Kapha shampoo for normal to strong and oily hair or Vata Shampoo for normal to dry or brittle hair. The ideal complement: Kapha or Vata Shower Gel with the refreshing scent of natural essential oils. For good foaming properties and for your skin to feel nourished and beautiful. Have you discovered your personal favourite herbal soap from our range of natural cosmetic soaps? Whether it’s vetiver, neem or rose, all our soaps will enchant you with their extraordinary scents. Order now and secure a 15% discount on each of our products on sale.